I thought Rohan had given up his food journal after a whopping 1 entry, but it would appear I was incorrect; he’s simply as lazy as I am. 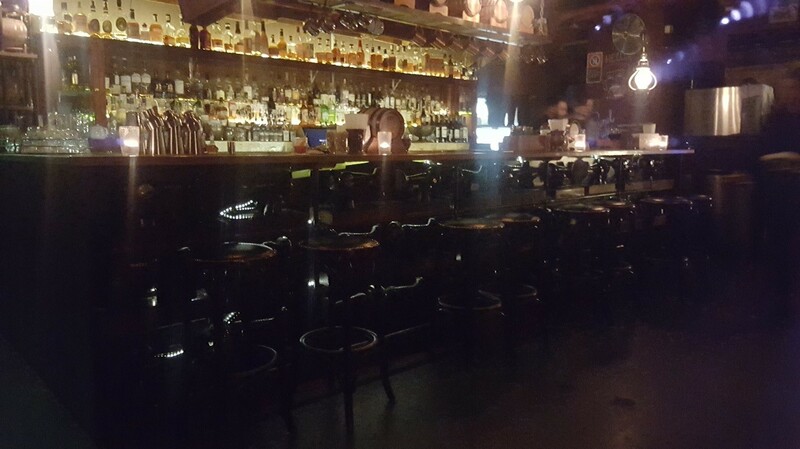 Rohan is currently down in Sydney for work and while ‘bored’, he decided to do an interesting little write up on ‘Stitch Bar’ in the CBD. Hopefully, we’ll be seeing some more out of him while he’s down there. Rohan’s first post can be viewed here. But what style! Stitch is modeled on the idea of a classic prohibition speakeasy – or at least the fantasy idea of one. 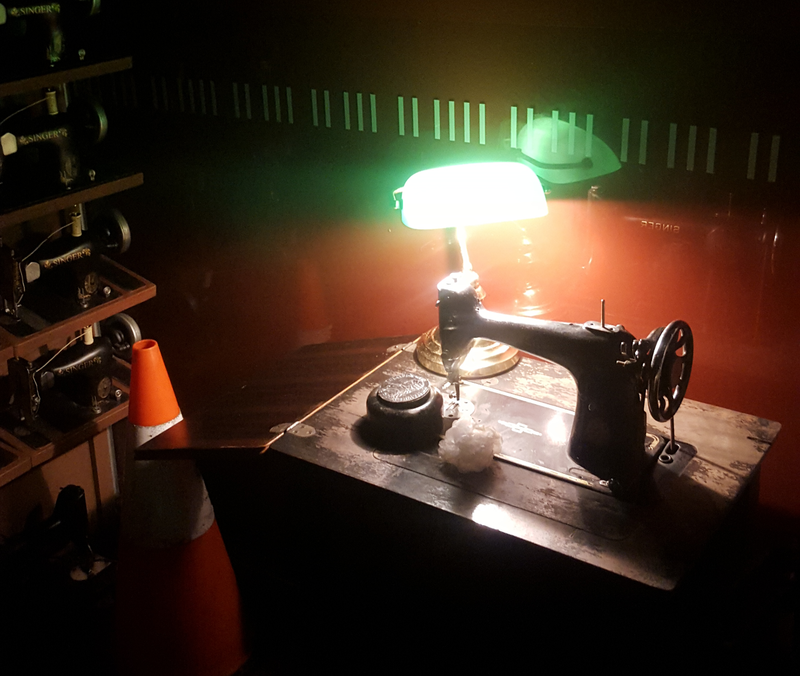 The entrance is designed to look like an unassuming sewing shop, with a small desk and a wall of sewing machines. I’m not sure if they were sponsored by Singer, or they went with this as this is the only classic sewing machine brand everyone knows. Not a beer in sight, but that is a whole shelf of scotch. You head through the saloon style doors and down stairs into the bar proper and the theme continues. Walls of sewing machines at the bar and most of the tables would not look out of place in the sewing room of a 1920’s flapper. Dim lighting, sweet toe tapping jazz and American Southern rock set the mood for a good time. The friendly staff were happy to let me choose my seat, and the place was packed for a Monday night. Sadly the atmosphere and table service weren’t conducive to the solo traveller mingling with the crowd, so bringing a friend is recommended. Now the beer connoisseur will not be impressed with the Stitch. It is, at its heart, a cocktail bar with a very small beer list to appease those who happen to be dragged along by their cocktail, wine or scotch loving friends. The beers consisted of a few pale ales, some imports and beers very much towards the lighter end of the spectrum, with nothing on tap. I ended up with a “Pocket Group Tinnie” golden ale in between my cocktails. While the can was possibly the most hipster thing I had seen (until my last cocktail arrived), the beer inside was an underwhelming one. The cocktails were nice. The food was nice. I don’t mean to misuse the word nice or turn it into something it’s not, but it this case “nice” means ‘has all the right elements, but lacks any synergy whatsoever’. It’s almost as if everything was designed focusing on the individual elements, but no concept of the dish or drink as a whole. I started with a cocktail that was aged in port barrels for 6 weeks. Boozy and full of citrus flavours, but lacking in the way of subtle flavours. For a starter I had the mac and cheese balls with bacon and bourbon sauce. The balls were technical perfection – they tasted exactly like balls of mac and cheese with a crispy breaded coating. The temperature was exquisite – the slightest part of a degree hotter and your mouth would be in pain, but you could bite into these with the smallest amount of caution and saviour the perfectly melted cheese sauce without losing any skin from your mouth. The only downside was that they tasted exactly like mac and cheese balls. Nothing exciting, and even the intriguing concept of the bacon and bourbon sauce wasn’t enough to make them stand out. I guess it didn’t help that I couldn’t tell what the sauce was until I double checked the menu to see what flavour it was supposed to be. 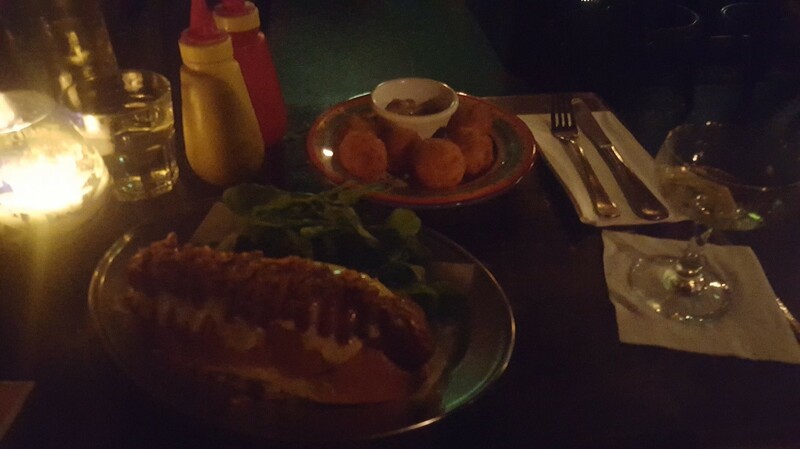 For a main I decided on the chilli dog. Again a solid performer that could have been so much more. A delightfully smoky and spicy dog covered in a selection of chilli salsa, sauerkraut, caramelised onion, cheese and mustard on an excellent brioche style bun. Perhaps I am being too harsh on this dog, as the only real gripe was that the smoky sausage and chilli overpowered the rest of the flavours. It looks better than it tastes, but that’s ok, because it looks fantastic. To finish I had a cocktail, which anyone who knows me would be aware that I couldn’t not order. As soon as I saw the words, “popcorn ice-cream” it was a no contest. Unfortunately this cocktail (called the “Big Rich”) continued the theme of the night: style, technical competence, and lack of substance. 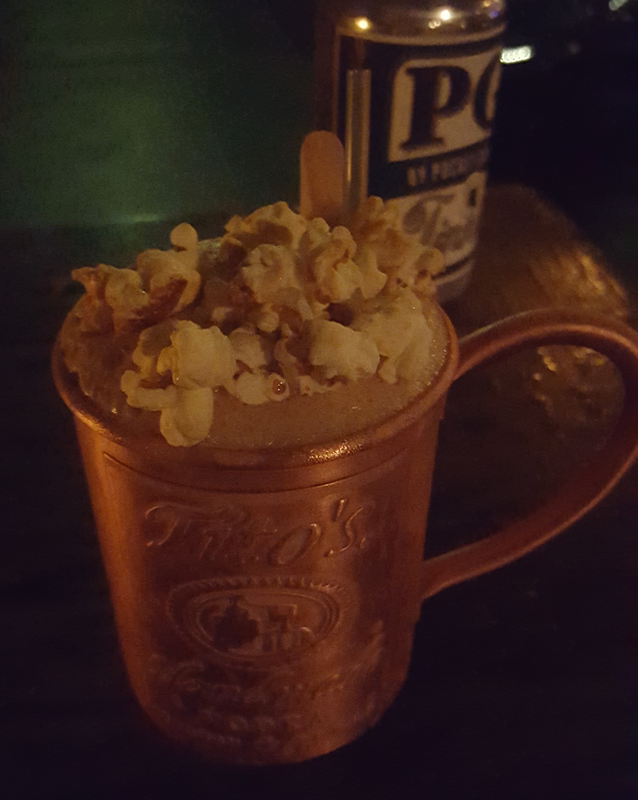 Served in the most hipster container I have ever seen, a copper vessel with an ad for the vodka contained within etched into it, that demonstrated the excellent thermal conductive properties of copper by nicely chilling the handle. It ended up tasting pretty much like cola with popcorn on top till I got down to the end where the roasted caramel flavours kicked in with the ice-cream sludge at the bottom. If they could find a way for this taste to permeate through the whole drink they would be onto a winner. Perhaps I am not used to Sydney prices, but they certainly don’t miss you, with the bill for myself at $72. The was the only other damper of the night, aside from the food and drink lacking a certain, as the French say, “je ne sais quoi”. Stitch bar is a good bar, and you are almost certain to have a good time, but your taste buds will lament what could have been, especially given the damage to your wallet.